Edgetts Lodge is located at the former site of historic Edgetts, Michigan, which was a 19th century logging town. The Lodge is a magnificent 5100 sq. 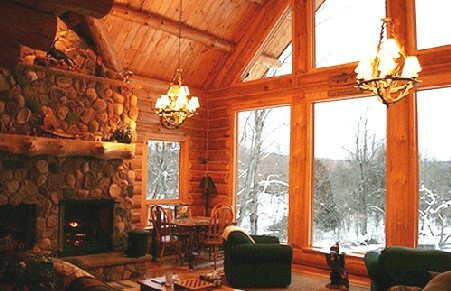 ft. hand hewn rustic log home that sits high on a riverbank with a fantastic view overlooking the Pine River. Located approximately 20 miles from Cadillac, MI.